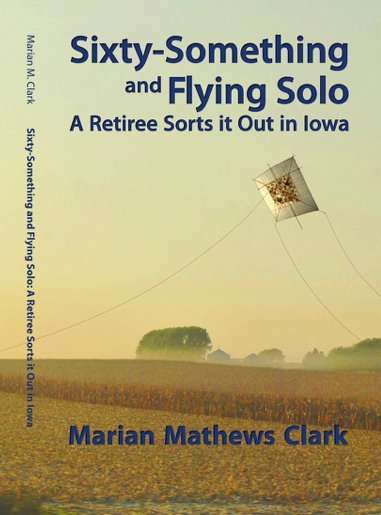 Sixty-Something and Flying Solo: A Retiree Sorts it Out in Iowa is a humorous, edgy memoir filled with serious ponderings. An Oregon transplant with no kids and no significant other, the author is someone about whom readers could say “I wouldn’t want to be in her shoes, but if she can make it, I can too.” Pieces such as “What Not to Say at a Funeral” and “Dusting and Other Insanities” provide a backdrop for monthly accounts of her fall into retirement’s abyss where she clings to her to-do lists while she alters her diet, her wardrobe, her routine, and her vow to become more domestic. When she resurfaces a year later, she’s surprised at the landscape and what has saved her. Marian Mathews Clark grew up in logging country in Mist, Oregon, the only child in a family of chroniclers. Her mother kept a diary from age thirteen until she died at eighty-seven, and her father wrote poetry about sawmilling, logging and the neighbors. Though she started writing early, Marian didn’t realize it was a career option. So when she graduated from high school in ‘63, she enrolled in Graceland College in Lamoni, Iowa, and majored in English Education. But after listening to students’ problems as a Resident Assistant and finding student teaching daunting, she concluded she was a one-on-one person and went on to earn a Master’s in Counselor Education from The University of Iowa. 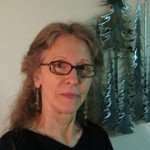 When she retired after twenty-four years as an Academic Advisor from The University of Iowa, she hit a major crossroads: How does a childless, divorced, aging transplant find home and purpose without the community of colleagues and students who’ve kept her sane? It was that question and the subsequent year of trials and errors that spawned Sixty-Something and Flying Solo: A Retiree Sorts it Out in Iowa. 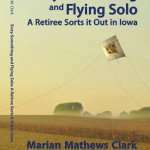 The essays in Marian Clark’s Sixty-Something and Flying Solo… are alternately charming, sweet, sad, funny, and wise. Clark is a sly writer; she lured me in with simple anecdotes about broken garbage disposals and mysteriously disappearing walls; only later did I realize she was really writing about mortality, loss, joy, and love. Great stuff. I give this a 10 (out of 10) because it touches me in places I have forgotten. I Love it. I loved the writing in this book. 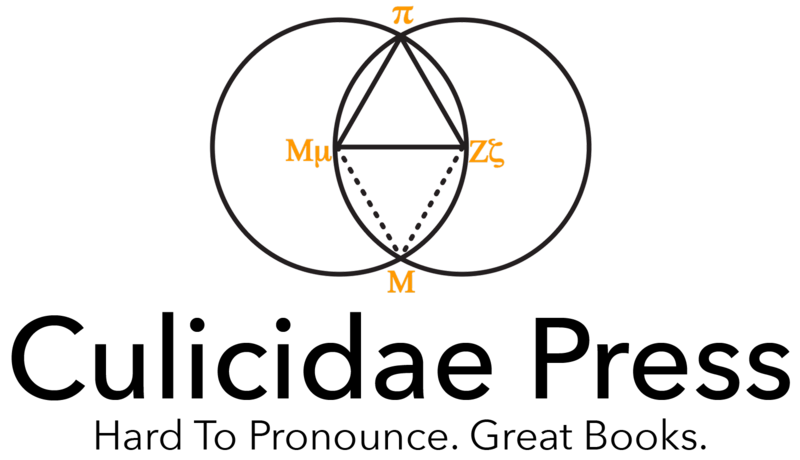 So many incidents of doubt and then reflecting on how that can be turned into humor with time. Since most things do turn out better with time, Ms. Clark surely makes the point from the beginning to the end of her stories. Funny and totally relatable to many of the things going on in a retirees life. While I am not there yet, it reminds me to fill my life with things to do and places to visit before I do retire. And to continue that long after I do end my days as an employee. Thanks for the reminders. If you are work for a bookstore or library, please use this orderform for a 50% discount. If you are a student or faculty, please send us a note via the Contact page to get the book at a 20% discount (.edu email address required). If you want to support Culicidae Press, click the Add to Cart button below to purchase the book directly from us (we prefer that!). If you live outside the United States, use one of the following Amazon links that allows you to order the book directly in your country: Canada, United Kingdom, France, Spain, Italy, Germany, Japan, India. ‘Getting There,’ Daring To Repair Anthology, Wising Up Press, Dec. 2012. ‘Just in Case: Alone at Christmas,’ Wapsipinicon Almanac, December 2011. ‘The Last Straw,’ The Lamoni Chronicle, December 9, 2010. ‘On Being Thin,’ Iowa Review: Daily Palette, April 19, 2010. ‘Getting There,’ Persimmon Magazine,’ Fall 2008. ‘Dear East Coast: In case of famine, please call Ohio,’ The Des Moines Register, Feb. 10, 2008. ‘The Dress,’ Dutiful Daughters, Anthology, 1999. ‘Just for the Time Being,’ A Ghost at Heart’s Edge, Anthology, 1999. ‘My Study on Stay-Puts,’ The Sun, Fall 1992. ‘Flossie’s Kid,’ Cottonwood Magazine, June 1991. ‘Houseboats and Peacock Feathers,’ Poet and Critic, 1990.